One Nation Under God? 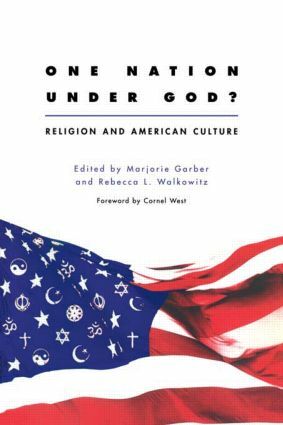 is a remarkable consideration of how religion manifests itself in America today. Marjorie Garber is the William R Kenan, Jr Professor of English and Director of the Center for Literary and Cultural Studies at Harvard University. Her most recent book is Symptoms of Culture (Routledge 1998). Rebecca L. Walkowitz is completing her Ph.D. at Harvard and has most recently coedited, with Paul B. Franklin and Marjorie Garber, Field Work: Sites in Literary and Cultural Studies (Routledge 1996). Together they edit the series CultureWork, in which this volume appears.